Q. I don’t see my shared or delegated calendars on in Outlook for iOS and Android yet. What should I do? A. As noted above if you don’t see your shared or delegated calendars right now, don’t worry. We are in the process of upgrading existing shared calendars so that they start syncing to Outlook. 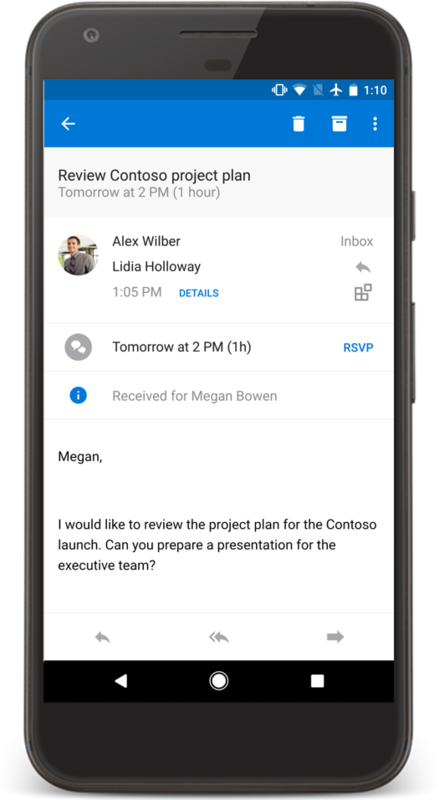 However, if you just can’t wait and want the new experience immediately, simply re-accept the sharing or delegate invitation from Outlook on iOS or Android. Once you do this, your shared calendar will appear. If you cannot find the original calendar sharing invitation, ask the calendar owner to re-share and accept the new invite from Outlook. Q. 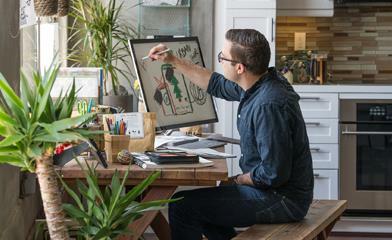 How do I add Calendar apps like Meetup to my calendar? A. To add a Calendar app, such as Meetup, navigate to settings, and then click Calendar Apps in the Connected Apps and Add-ins section. 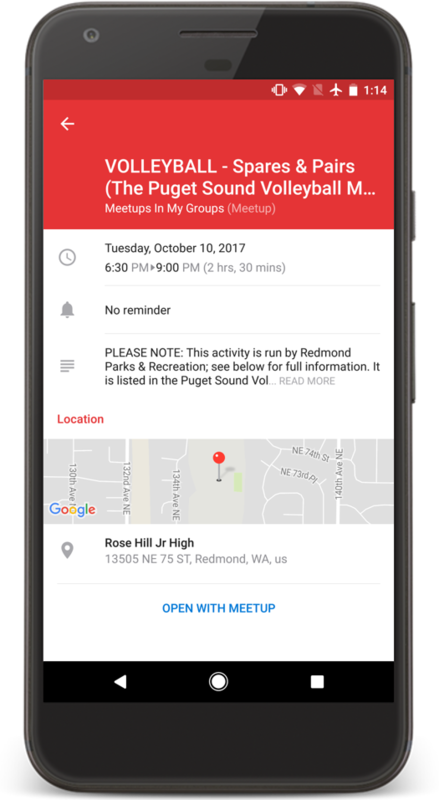 Meetup is available on Android today, coming soon to iOS.